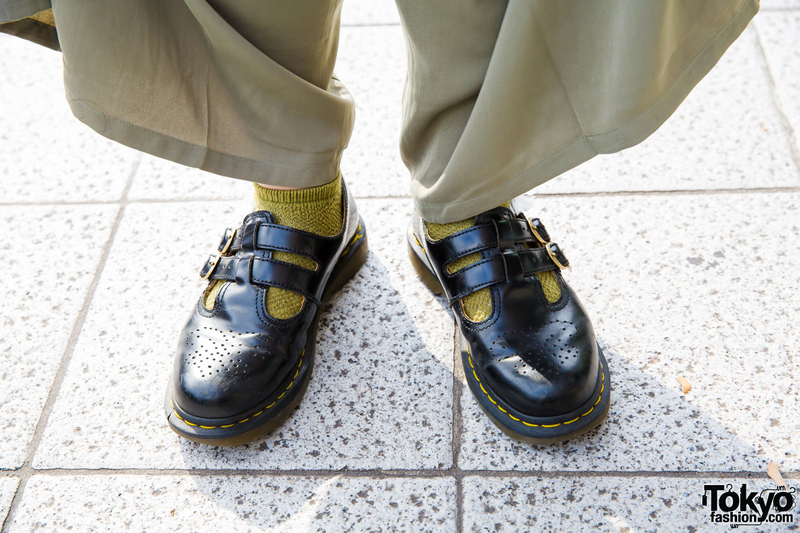 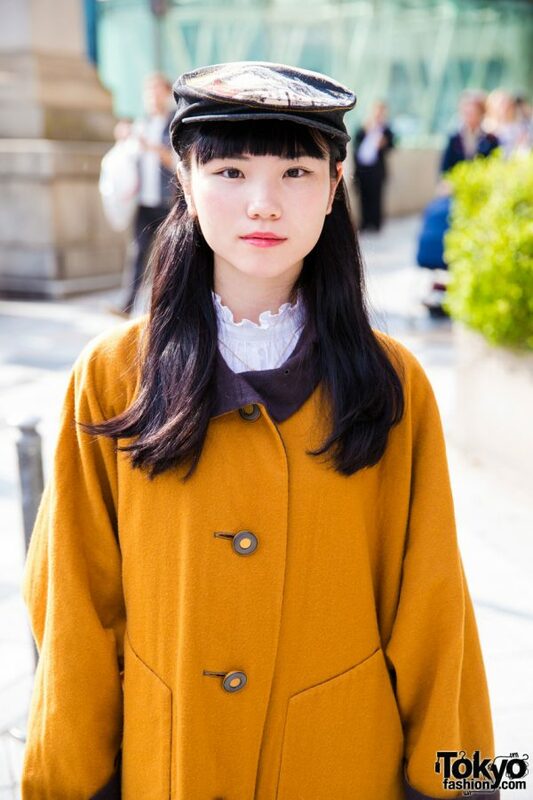 While walking along the Harajuku street, we came upon Mami, a 21-year-old student, who caught our eye with her vintage fashion style. 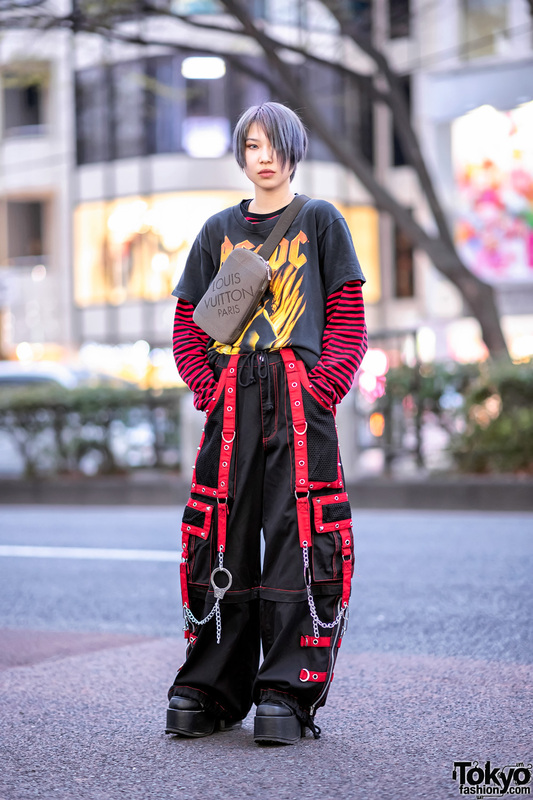 Mami’s outfit consists of a tan Issey Miyake coat over a Uniqlo ruffle collar shirt, wide leg pants from Spinns, and Dr. Martens baby doll shoes. 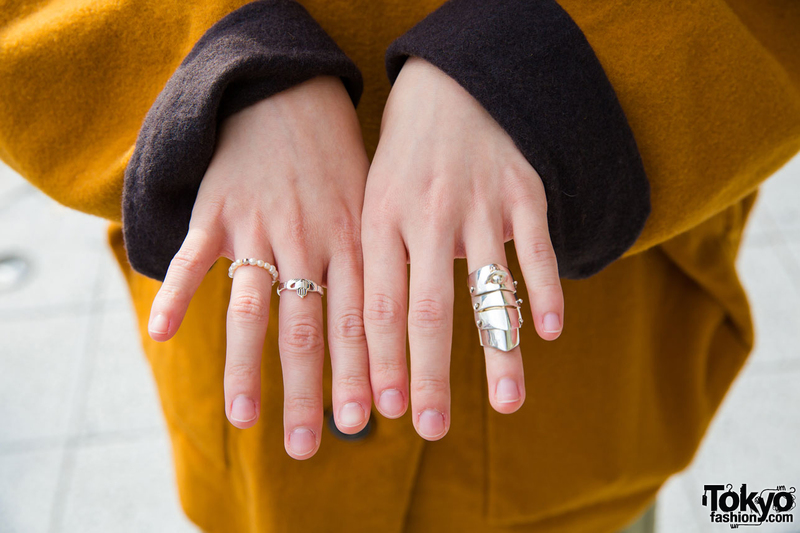 Her accessories include a handmade newsboy cap, a Vivienne Westwood armor ring, and Amijed rings. 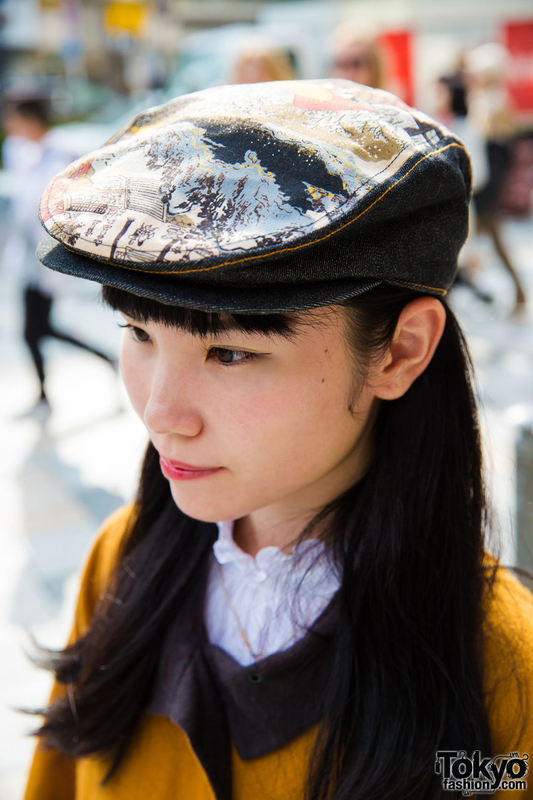 Mami’s favorite brands are Vivienne Westwood and Uniqlo, and she likes the music of Radwimps.